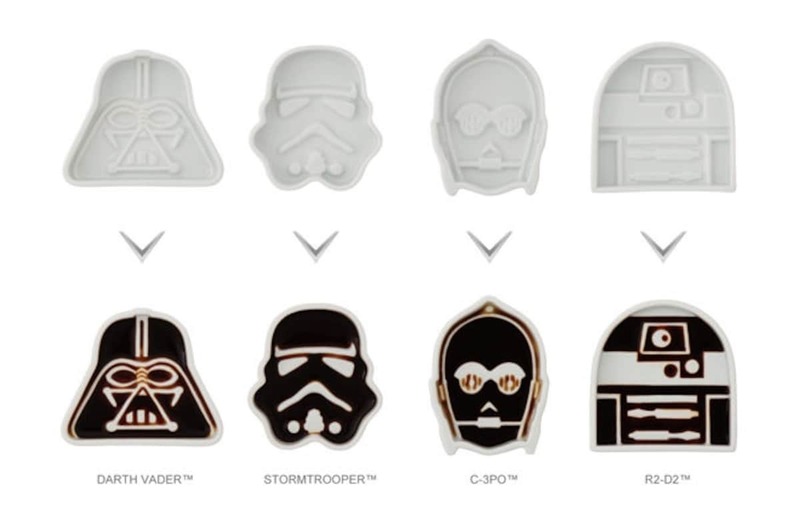 Fans of the original Star Wars trilogy and its characters will be delighted to hear design company Rowen Japan has released soy sauce dishes featuring portraits of R2-D2, C-3PO, Darth Vader and a stormtrooper to season your sushi. These clever little soy sauce dishes aren’t simply the face of the four characters plastered onto a small plate either. Instead, they’ve been carefully crafted so the addition of soy sauce reveals the character even more perfectly than without Japan’s favorite condiment. What makes these dishes even more spectacular is that they’re not made of any old material, but they have been elegantly designed by master craftsmen who specialize in Arita ware (Japanese porcelain made in the area of Arita, located in northwest Kyushu). With each character, the depth of the dish has been carefully measured to provide diners with the perfect ratio of sushi and soy sauce. The final product therefore doesn’t look out of place with your delicate meal, but instead compliments it perfectly. 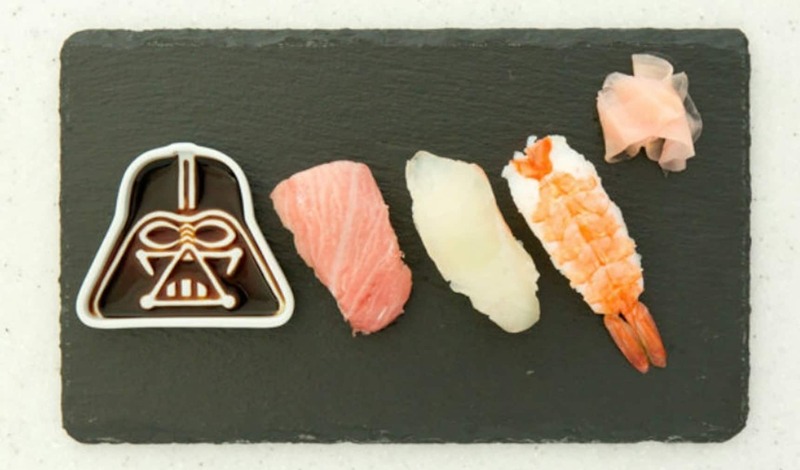 The soy sauce dishes all fit into a wooden box beautifully adorned with the iconic Star Wars logo on the front. These fine Arita porcelain dishes may come with a high price tag of ¥11,380 (US$101.03) at the online shop, but they will certainly be the talk of the table at your next sushi and Star Wars dinner-and-a-movie party.